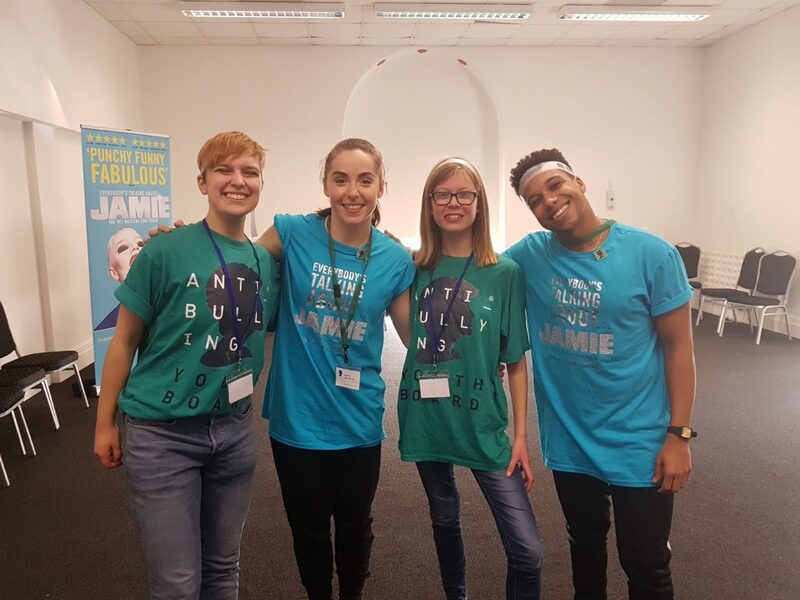 Everybody’s Talking About Jamie partnered with The Diana Award’s anti-bullying programme to support their incredible work during anti-bullying week. To highlight that every young person should feel accepted and find a place where they belong in their school community. A special gala performance was held at the theatre at 7.30pm on Monday 12 November. Anti-Bullying Week kicked off on Monday morning at Alexandra Palace, when over 600 young Anti-Bullying Ambassadors aged 5-18 from across the UK came together to participate in a hands on event designed to inspire young people to creatively explore bullying issues through drama, singing, photography, rap, graffiti art, and public speaking – all led by celebrity talent. 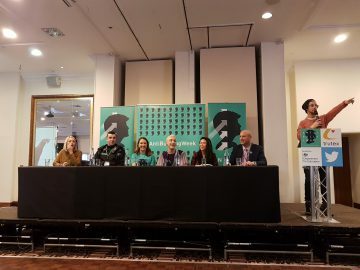 Kirstie Skivington and Marvyn Charles, from the cast of Everybody’s Talking About Jamie ran a couple of musical theatre workshops at the event which is supported by Department for Education, Twitter and Trutex. Over 80 young people learnt the moves to Work Of Art, a number which sees Jamie go from being taunted by his peers, to owning his uniqueness as he’s own #workofart. 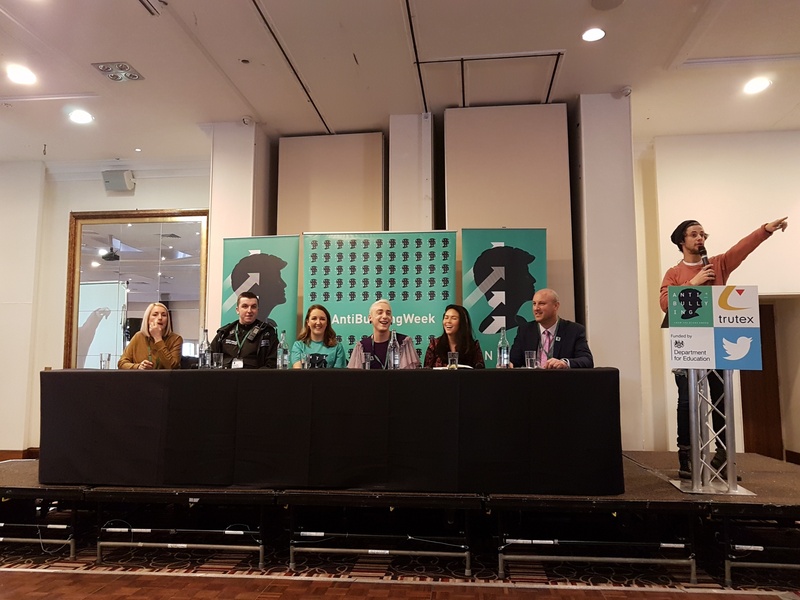 On Thursday 15 November, further workshops were held in Blackpool, where the show’s inspiration, Jamie Campbell joined a Q&A panel an then led #mytrueselfie workshops. Students were encouraged to fill t-shirts and posters with words and pictures that represented their true self, very little of which is shown in an actual selfie, and create their own works of art. 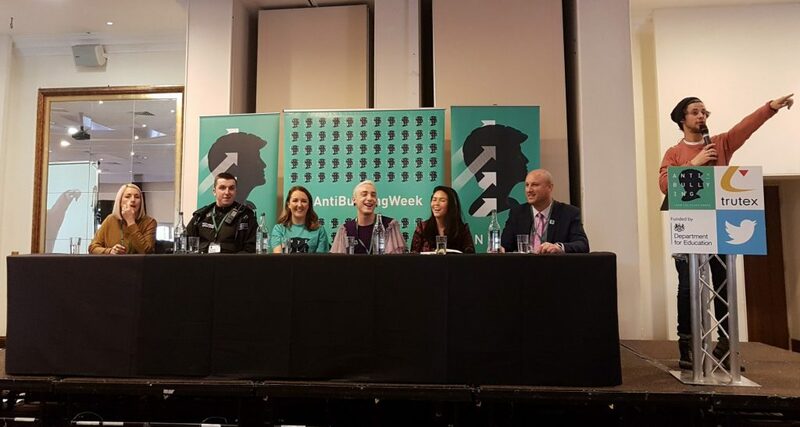 The Diana Award runs the leading Anti-Bullying Campaign in the UK and Ireland giving young people, professionals and parents the skills, confidence and training to tackle all forms of bullying as Anti-Bullying Ambassadors. For more information about The Diana Award and anti-bullying ambassadors, please visit their website.